Pammy Blogs Beauty: Save Money Shopping with Groupon! Save Money Shopping with Groupon! Who else is on a budget? As a stay-at-home Mom living in essentially a single-income family, I am always looking for smart ways to save money. From sales to coupons, I am all about finding great deals and getting the most that I can for our money. Sometimes finding deals and sales can require a lot of effort and research work. Sometimes I just don't have the time nor energy for that. So, I love finding time and money-saving coupon sites like Groupon!!! With Groupon, I don't need to do extra research, I just know that when I have a Groupon coupon, that I have a great deal! Plus, did you know that Groupon is good for more than just resturant coupons and travel and event deals? Groupon Coupons make it easy to save money on purchases we make online! The Groupon site makes it so easy to find verified coupons for easy and affordable online shopping. 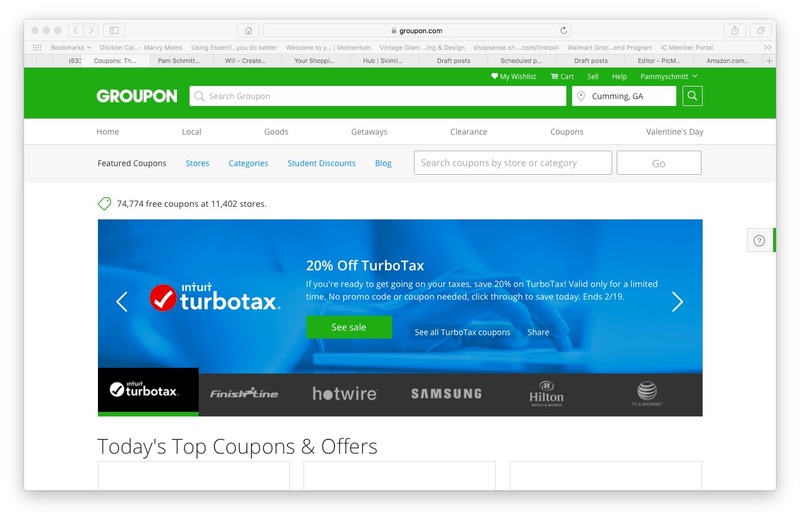 Plus, it is so quick and easy to search for online coupons on the Groupon site. You simply just click a button and search! There are so many great Groupon coupons right now! Plus, I love that I can find Groupon coupons for my favorite online retailers and local shopping, too. I am totally going to take advantange of some of these deals!!! Be sure to head on over and check out the awesome deals on Groupon! I just know that you are going to find some great Groupon coupons and save some money. Please come back and comment here if you find a fantastic deal! I would love to hear about some of your favorite deals!! !